18,356 S.F. 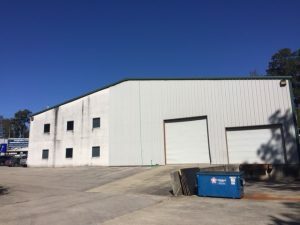 Office/Warehouse facility on 1.5 acres with great access to I-459. This facility offers drive-in and dock-high loading and extra land for outside storage or parking. Additional land is available. The warehouse is temperature controlled, has 28′ ceilings in the center and is clear span.